Authors & Readers: Symbiotic or Parasitic Relationship? I think the majority of people agree that the most difficult challenge of mortality is dealing with relationships. Much has been written about romantic relationships, parent-child relationships and business relationships. Marketers certainly understand the supplier – consumer relationship. Other types of relationships, however, such as the implied partnership between authors and their readers, don’t quite fit these other models. The first and most basic thing to remember is that no one likes much less gets along with everyone. As an astrologer I can explain why, but that isn’t the point I want to explore. Just remember that the basics of human interactions apply whenever you work with another person in any capacity. Everyone is programmed in a different way. Some are friendly and generous, others aggressive and selfish with these traits possible on either side of the author/reader equation. Some authors expect too much, some readers expect too much. Such is life. Don’t even get me going on the entitlement mentality prevalent at all economic levels in today’s society or this will turn into a book instead of a blog. Getting back on point, consider that authors are of necessity also readers but readers are not always authors. Remember the quote not to judge another person until you’ve walked a mile in their moccasins? Well, kick off your shoes and get ready as I attempt to take readers and authors alike down the others’ path. Understanding is one of the reasons that authors band together, read each other’s stories and provide reviews as well as feedback or editing tips. While there is a hint of competition within any career field, there is also support and understanding. This is not to say all authors get along, either, only that there’s a fundamental understanding that exists amongst any group doing similar work. Readers who have never crafted so much as a short story outside of that required in a language arts class may be familiar with an author’s fictitious world yet not understand what it takes to build one. Authors are artists who use words just like visual artists use color and texture, sculptors use tangible material, musicians use sounds, and chefs use food to name a few. Creative expression is an important part of life as can be seen in ancient civilizations no matter how ancient or primitive. So to begin to understand an author a person should examine their own means of creative expression which provides at least rudimentary common ground. Creativity comes out in different ways coupled with varying degrees of motivation and expectations on the part of the creator. Most will agree it’s something they are compelled to do, at least once you get past Maslow’s hierarchy of needs and enter the realm of self-actualization. After the expression itself things get trickier. If a person wants to share his or her craft with others s/he wants it validated with praise and appreciation because their work is an extension of their ego. The person may not be dependent on this reinforcement but it’s definitely nice. This is why writers keep writing in spite of a plethora of rejections and why the options for self-publishing have produced millions of wannabe authors. The same goes for musicians and any other type of artist. The next step beyond art for art’s sake is to receive compensation, even though it may originate as a labor of love. Some authors prostitute themselves writing for hire just to make a living. 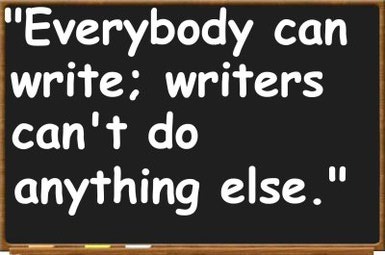 Writers are valued by those who can’t. It is often the trump card, especially for a job where literary expression is not required; as an engineer who could write I never had trouble finding a job. 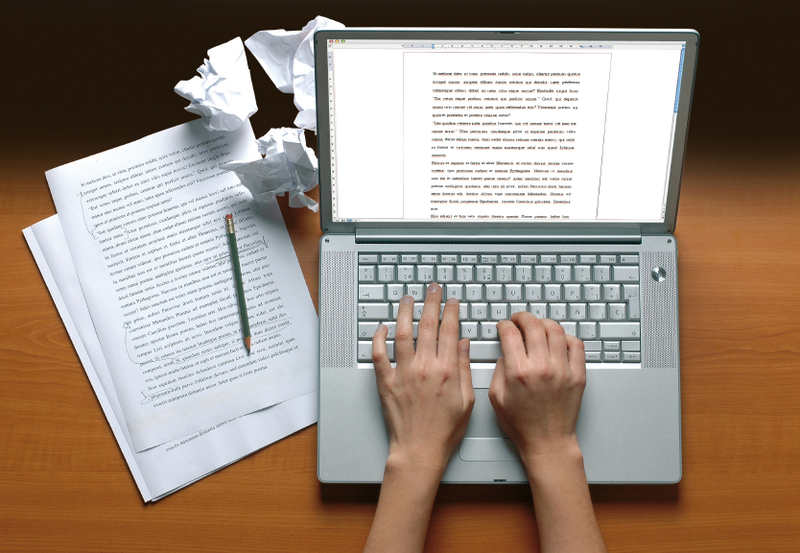 Writing for hire may pay the bills but it doesn’t feed your soul. That only comes when you get praise and, better yet, compensated in some way for something that came from within your heart. How much blood, sweat and tears goes into any work of art varies. There are those who can crank out a story on a rainy afternoon versus those who labor over an epic novel for years or even decades. Neither case is necessarily a measure of talent or readability. In other words, some authors would make a killing if paid by the hour while others would be so poorly compensated it would defy measurement in any monetary currency. The issue here diverts to the plea these days to raise the USA minimum wage. Many authors would give blood and pay money to make even the existing minimum wage. Yet authors are usually expected in today’s glutted market to sell their work for ninety-nine cents or even give it away for free. The days when a book was on the shelf in a bookstore for six weeks, was remaindered and then considered “out of print” are essentially over. 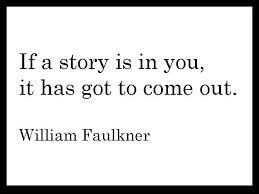 For writers that is both good news and bad news. Readers have at least nine million books from which to choose and writers can keep their book in the sales arena as long as they wish. To get a visual on the competition, however, think back to any time you attended a professional or college level sporting event or rock concert in a full-to-capacity stadium or auditorium. Now consider what it would take to draw attention to yourself in that crowd. Then multiply the crowd by at least one hundred. That, my friend, is what the average author is up against. Clearly it’s a “Readers’ Market” which shows why the people making money in publishing these days are the promoters. For many Indie authors the work may be a labor of love but also an expensive hobby if one hopes to be discovered. I saw a comment on LinkedIn a while back where an author stated that for every 500 books downloaded for FREE, he was lucky to get one review. If he’d been paid even ninety-nine cents for each of those books he would have been happy. Note, however, that even if that were the case he probably would have only received about thirty cents for each one from Amazon. So distributors, likewise, often make far more than authors; booksellers are not into it from the goodness of their hearts. At this point any authors out there are probably vigorously nodding in agreement and not too happy about being reminded of their place in the literary food-chain which segues over to readers and hopefully reviewers, the importance of which I’ll try to explain. From a reader’s point of view, mention of providing a review may trigger unpleasant flashes of deja-vu back to high school English class where those mandatory book reports on dry and hopelessly boring stories had as much appeal as a root canal. Some readers pay attention to reviews before buying a book while others couldn’t care less. However, they’re important to authors for more reasons than to attract more readers. It comes back to competition. Some promotional websites won’t even feature a book until it has a minimum number of favorable reviews, even for paid listings. Furthermore, Amazon ranks each book based on reviews as well as sales which in turn contribute to its ranking. Its ranking, in turn, determines whether it comes up on page one or two hundred via search engines. This is also a reason authors offer their book for free because even books that are given away on Amazon count toward its rankings. If it gets ranked highly enough, people will find it and hopefully eventually buy it when it’s no longer free. So now we’re back to the relationship issue and why authors need readers and vice versa. It also helps explain reactions based on the personality of each and why some readers may be annoyed when asked for a review while authors may expect at least a review in return (especially if they provided their book for free and even more so if it was a print copy which cost them for the book itself and possibly postage as opposed to transmitting an ebook via email or download link). In the hopes that at least a few authors and readers have slogged through this much-longer-than-intended blog, consider whether your attitude is symbiotic or parasitic. Readers, do you respect and support, either financially or otherwise, the authors who put part of themselves into the work you enjoy? Or do you expect to enjoy their creative efforts while giving nothing in return? Authors, do you expect your readers to have the same ease of expression in writing as you do and jump at the chance to leave their opinion as a review? Or are you grateful to have readers at all given the many choices they have at their fingertips? Here are a few points to remember for those on both sides of these important partnerships. Readers may react to the thought of writing a review with all the fondness of a 10th grade book report. Readers do so for pleasure and don’t want to be pushed to do something they see as unpleasant. Readers are not always writers and often find written expression difficult. Readers have literally millions of books to choose from so it’s best to treat them like the treasures they are. Any creative work represents a part of its creator’s heart and soul. Is it fair to expect authors to work for free? Reviews can comprise a few heart-felt sentences as if talking to a friend and don’t have to be lengthy or Pulitzer Prize material. Cutting and pasting your review to more than one site (e.g., Amazon, Barnes and Noble, Goodreads) takes a few minutes of your time but will be greatly appreciated and make an author’s day, which is good karma. Face it, authors and readers need each other but authors have a distinct and even quantifiable disadvantage. Readers, please show your love and appreciation for the authors whose books occupy your shelves or e-reader of choice by leaving a short review. 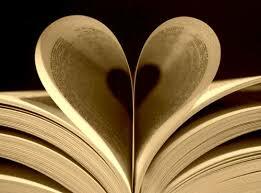 Authors, recognize not everyone finds putting their thoughts into words enjoyable and love your readers regardless. And finally, it’s my sincerest hope that no authors or readers suffered too many blisters while treading along this long and convoluted path of mutual understanding.